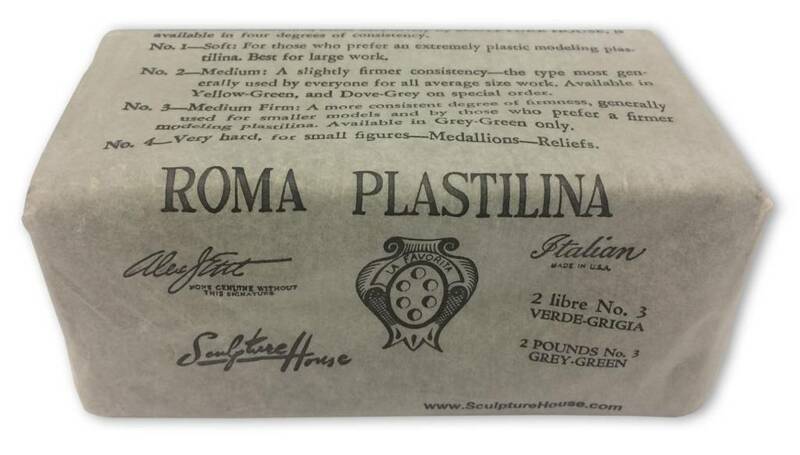 Firmer than ROMA Plastilina No. 1 and ROMA Plastilina No. 2, this oil- and wax-based modeling clay retains its malleability (capable of being manipulated easily). ROMA Plastilina No. 3 is the preferred choice among those sculptors modeling smaller pieces such as bas-reliefs, doll heads and miniature figures. In addition its firmness allows the artist to sculpt in greater detail as well as using it for design mock-ups. 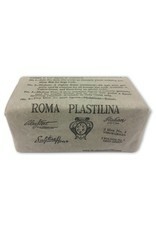 As with the other ROMA Plastilina clays, since ROMA Plastilina No. 3 is not made with water, it will not harden permanently and is not adversely affected by heat. Contains sulfur.